Over the past few months, myself, and the other members of The Comics Education Offensive have been busy making inroads with some comic publishers to help us get more comics and materials to teach those comics into classrooms. Building these relationships is important for two major reasons: publishers need to understand that teachers want to use their books in the classroom; and with an understanding of just how many schools are interested in these types of books, they can create more resources for educators. Don’t get me wrong, it’s going to be a long road for some publishers to get where they need to go, however, balls have started rolling. So, I wanted to take a little bit of time today to showcase three publishers that have been willing and excited to work with us as we more forward on our journey to bring more comics and graphic novels into your classrooms. 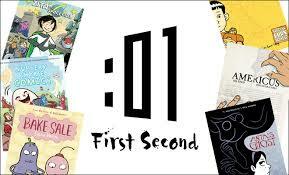 The first publisher is no stranger to classroom comics: First Second Books. First Second Books has been putting out amazing titles for a long time, and if you teach with graphic novels, you’ve probably used one of their texts. If you are not familiar, check them out here. They offer books for all age ranges, and they even have a page for lesson plans and teacher resources for some of their materials. Explore their site and order some books. Hit me up for recommendations! I’ve reviewed a couple of their books on this site as well. They specialize in graphic novels, and most of their material is not of the superhero genre, so if you are afraid of single issue confusion or massive runs of trades, First Second will not scare you away. We may be constructing a special Meet & Greet with peeps from the First Second family at New York Comic Con this coming October to celebrate their ten year anniversary, so stay tuned for more info on that! 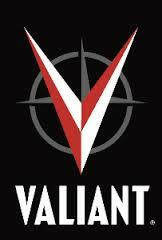 The second publisher that I’d like to send a special shout out to is Valiant. I was connected with Valiant this past March at C2E2 in Chicago. I heard that they were interested in getting into the educational game, so I went over to their booth and set plans in motion! Since my initial visit to the Valiant booth this past March, they’ve been at a couple of our educator Meet & Greet sessions to talk to teachers (and they gave out free books), we’ve been in talks to team up on educational panels at NYCC and Rhode Island Comic Con, and their excitement about working with teachers inspired me to read almost every title that Valiant has to offer, allowing me to become sort of an expert on which books of theirs I think make excellent classroom titles (more info to come on that, but I will tell you to start with Faith…sooo good and one of the best-selling books out right now). Unlike First Second, Valiant puts out single issue comics and collects them into trades. But don’t let that scare you away! Many of the trades contain one story line, and with lots of character cross-over, Valiant offers a number of ways for readers to jump in and out of titles as they wish. Also, if you frequent the comic book store, you can find new Valiant issues every week! With any luck, they will quickly see the benefit of expanding and shaping their library for school/classroom use. You should for sure check out some Valiant books (hit me up for specific titles), and communicate to them through social media, telling them that you want to see Valiant comics and resources in your classroom! Here’s a link to their site; they have some neat stuff in their store! 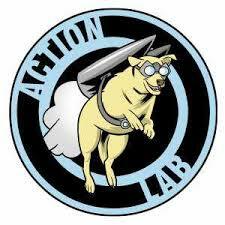 The final publisher that I’d like to recognize is Action Lab. We just started our relationship with Action Lab Comics at Denver Comic Con this month, but I’ll say that they were quick to see the benefits of partnering with us and educators. Like First Second, their library is greatly varied and addresses a broad age range. Don’t let their initial homepage fool you, these folks have done a great job listing descriptions of their titles with age appropriateness. Here’s a link to the shop page where you can click on a title to check the info for specific books. There are a few titles that might scare you away like Zombie Tramp, but I assure you, there are a ton of books for kids! Check them out. There are other publishers that are working to break into the classroom market, but I just wanted to highlight three that have made an effort to work with us. I appreciate them, and I hope that over time, their commitment to education grows and grows. Marvel and DC may sell lots of issues, but if these publishers start selling class sets of books to schools, the gap between Marvel/DC and these guys will deplete. Also, their willingness to work with us in conference panel construction and staffing could say a lot for their exposure. Show some love! Check them all out, order some books, hit me up for recommendations! Your voice is important, so support publishers that want to support the classroom!